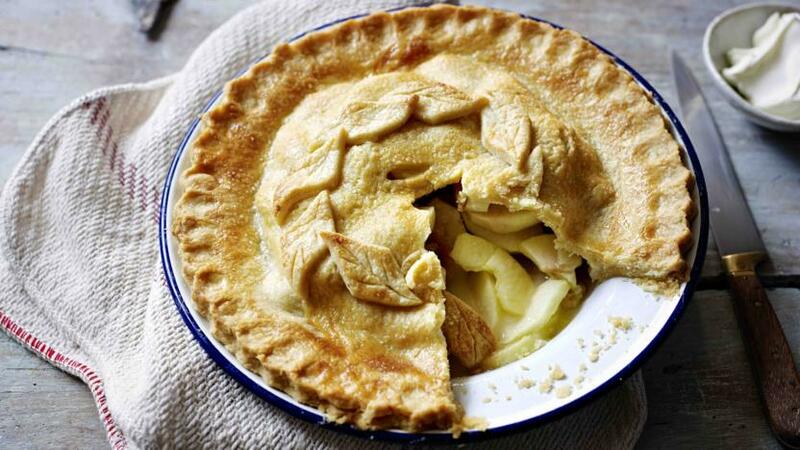 Perfect your pastry to the Hairy Bikers’ standard with this delicious Bramley apple pie recipe. A deep pie dish is essential for fitting in as many hot, fluffy apples as you can. Serve with vanilla ice cream. Set aside one-third of the pastry for the lid. 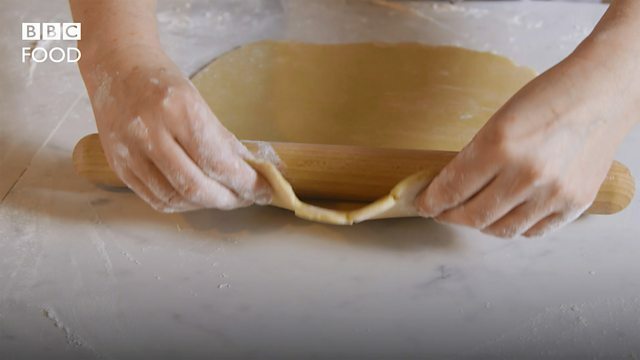 Roll out the remaining pastry on a lightly floured surface until the thickness of a pound coin and 5-7cm/2-3in larger than the pie dish. Lift the pastry over the rolling pin and lower it gently into the pie dish.